Marigolds in the vegetable garden, offer us so much as gardeners and homesteaders. Do you know why? Let me share the top 6 reasons you should be planting marigolds in the vegetable garden…if you aren’t already. As vegetable gardeners we know the importance of bees to the success of garden…aka pollination. Marigolds not only attract bees but they help the to thrive and survive! BUT if you are planting marigolds in the vegetable garden as part of your bee attracting plan there are a few caveats to be aware of (I’ve learned this the hard way). Bees prefer the single-bloom varieties of marigolds over the double. Secondly I highly recommend only planting seeds or flowers grown in organic conditions; the ones purchased at big-box stores contain insecticides that are bad for bees and your garden. So before reading any of the other reasons to plant marigolds in the vegetable garden please note that I recommend only organically grown seeds and transplants. Marigolds and tomatoes are BFFs! The French Marigold is the best choice for tomato protection. 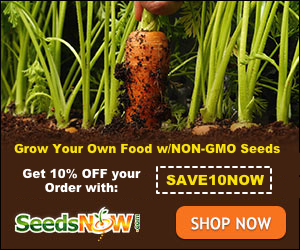 Planting French Marigolds near your tomatoes has show to repel nematodes (learn more about nematodes here), slugs, tomato horn worms and other garden pests. Marigolds in the vegetable garden is a companion plant to bush beans, potatoes, Chinese cabbage, broccoli, squash, eggplant and kale. Again the French Marigold is the best bet but the Mexican Marigold and be extremely helpful too. 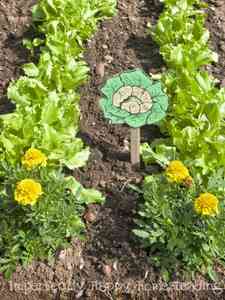 The marigolds will help these veggies deter beetles, slugs leaf hoppers, bean beetles and the dreaded horn worms. 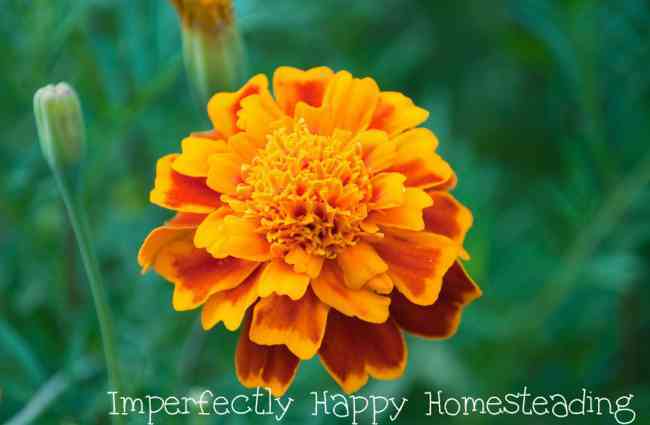 The strong scent of marigolds may be the reason they are such amazing helpers in the garden. Their scent masks the scent of your vegetables so garden pests and predators are not attracted there. It should be noted that they can attract spider mites and in some areas slugs – though I have never seen this personally. If being tough little pest fighters isn’t enough of a reason to plant marigolds in the vegetable garden, then let them add some gorgeous color and beauty to it. Now I think my veggies are beautiful, don’t get me wrong; but flowers just add a touch of whimsy and shot of knock-out color that can’t be beat. Another great thing about marigolds in the vegetable garden is that they are pretty low maintenance. As flowers go, they are easy to care for and will continue to grow for several seasons. They are hardy enough to stand up to droughts and frosts. The medicinal herb calendula is in the marigold family. It has wonderful medicinal benefits when made into Calendula Oil or Calendula Salves; like helping skin conditions, rashes, wounds, bed sores, eczema and varicose veins. It can aid in treating itchiness, sores, inflammation and skin softening. See the difference between French Marigolds and Pot Marigolds (Calendula) here. So there you have it, 6 reasons to plant marigolds in the vegetable garden. Are you using marigolds in your garden? What has your experience been with them? Leave me a comment and let me know. This is a great resource! I am looking to add some Marigolds to my garden. I love them! Hello Tiffany, This is a good resource. I am looking to add some marigold garden. This is also attractive to bees and butterflies that looks awesome. I love your blog very much. I like gardening and planting flowers. Thanks for sharing your lovely blog with us. Thank you Mike – you made my day! 🙂 Enjoy your marigolds. I made a raised garden with cement blocks and planted herbs plus marigolds in the holes of blocks. They made it attractive, plus attracted bees for my vegetables. Will be doing this evey planting time. Did u use cinder blocks… or another kind of cement blocks? Where did you purchase the cement blocks? I’ve been planting marigolds and zinnia’s in my vegetable garden for years. My mother and grandmother were avid gardners and passed on some of their wisdom to me. I swear by the marigolds and zinnia’s keeping pests out. I actually started my marigolds and zinnia’s last week. Thought I’d share the information on zinnia’s too. Wondering how to plant them around the tomatoes…I planted them between my plants last year and still had a few horn worms. Not a lot – probably about 5 total. But they were huge! Can you elaborate on how far apart to space them ? I don’t really have a specific spacing. I just plant them around the entire box (garden). No pest control is 100% full proof but they sure do keep things down. They make a great trap crop for slugs & snails. Since they are loved by them they go to marigolds instead of your food crops. I go out in the evenings and pick them off marigolds and give them a beer bath. I swear I can get hundreds in an evening at the start of season, less in time, but my food crops are saved. Marigolds are a great trap plant for Japanese beetles in your garden. Keeping them away from the edibles. They come in hoards to marigolds here in Va. Making it easy scoop off a bunch with one swipe into soapy water. 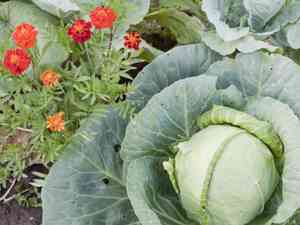 I’ve always planted marigolds around my vegetables. It’s a family tradition as a way to help control pests. I’m glad to see that others do this too. I have noticed fewer hornworms when the marigolds are thriving. They do add beauty as well as pest control. You have listed Number 1 twice, and there are only 5 reasons, not 6 due to this error in printing. Is there another reason, or are there only 5?